In this timely work, Eric Freyfogle probes the long-simmering struggles in the American West to address water-related problem. The big challenge is to resolve water shortages and meet high-valued water needs while also improving river ecosystems. These water conflicts, he suggests, have less to do with our contentious political differences than they do with longstanding core elements of American culture—inherited, shared ways of understanding our place in nature that no longer make good sense. Particularly troublesome are the ways we fragment it, valuing its parts as discrete commodities. Also at play is our cultural inability to think clearly about how best to draw the line between the legitimate use of nature and the abuse of it. Building on these cultural critiques, Freyfogle takes up the issue of private property rights, highlighting the longstanding flexibility of this key American institution as well as the moral imperative to ensure that property rights aren’t used in ways that harm communities. 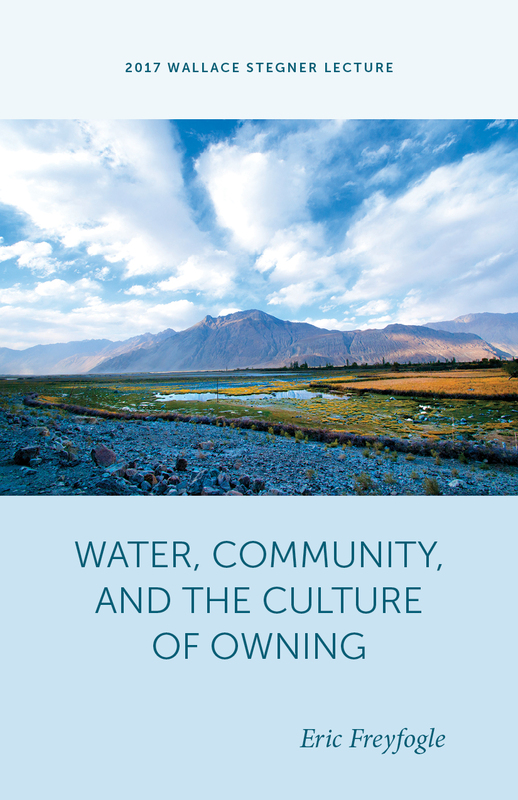 Outdated understandings about private property, he concludes, have further confused our understanding and made sensible solutions to water problems even harder to imagine. Water-policy reform won’t happen, Freyfogle argues, until we reconsider how we understand nature and take charge of the institution of ownership, recasting it so as to increase the benefits it generates for everyone. If we can do that, solutions to water troubles could prove easier than we expect. The work concludes with an original, sweeping policy proposal to resolve the West’s water shortages and meet environmental needs in ways fair to all. This lecture was presented on March 22, 2017, at the 22nd annual symposium sponsored by the Wallace Stegner Center for Land, Resources and the Environment at the S. J. Quinney College of Law, University of Utah. Eric Freyfogle is Swanlund Chair and Professor of Law Emeritus at the University of Illinois at Urbana-Champaign. His many books include On Private Property; The Land We Share; A Good That Transcends: Why U.S. Culture Undermines Environmental Reform; and, most recently, Our Oldest Task: Making Sense of Our Place in Nature.